This is a BRAND NEW set of LEGO® Castle Wolfpack 6038 Wolfpack Renegades from 1992. This set is still factory sealed and the box is in very good condition with minor shelf wear. 93 pieces and 2 minifigures©. 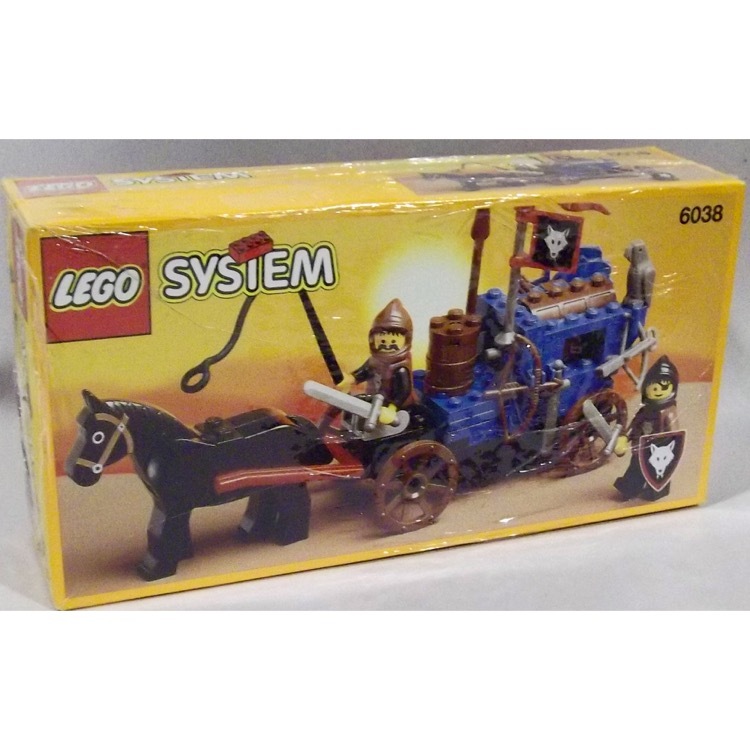 This is a BRAND NEW set of LEGO® Castle Wolfpack 6038 Wolfpack Renegades from 1992. This set is still factory sealed, however the box is in rough shape with wrinkles, creases and shelf wear. There is also a tiny bit of sticker residue on the front of the box. 93 pieces and 2 minifigures©.